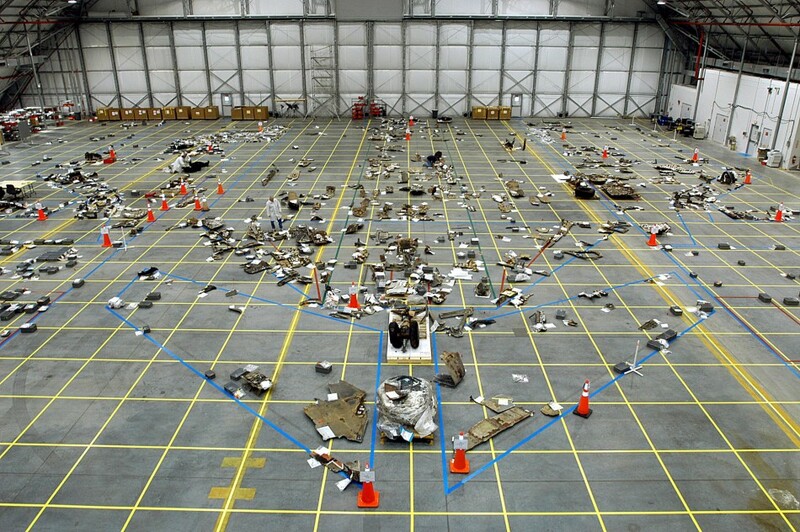 Fragments of the Columbia orbiter, stored in the RLV Hangar at Kennedy Space Center Credits: NASA). 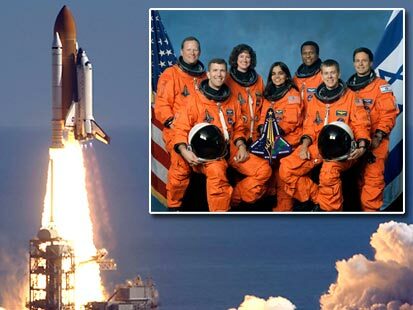 The disintegration of Space Shuttle Columbia following reentry of STS-107 on February 1, 2003 was a disaster and a tragedy. But it is important to remember that this tragedy did not stand on its own; it followed 17 years after another Shuttle disaster, the explosion of Challenger moments after its launch. Although the direct technical causes of the two accidents seem unconnected, the organizational factors that allowed these incidents to happen are very much related indeed. So as we remember Columbia ten years after its loss, the biggest question we must ask ourselves is: how do we ensure that in another ten years, we don’t repeat the tragedy? Space Safety Magazine asked Mike Ciannilli this very question. Ciannilli is the Project Manager for the Columbia Research and Preservation Office and of the Space Shuttle Challenger Office and recently launched a website to gather everything from documents and photographs to reports and remembrances relating to STS-107. If anyone is dedicated to keeping the memory of these accidents alive, Ciannilli is that one. Space activities are changing these days in the US and worldwide: there’s no more shuttle, but there are new commercial startups and new players every way you look. Given these changes and many unknowns, is there anything still to be learnt from the loss of an orbiter from a retired spacecraft program? The launch of STS-107 on January 16, 2003. Inset: The Columbia crew (Credits: NASA). Not everything is going to transfer that easily, though. Ciannilli himself notes that “there are some inherent differences that are pretty big differences.” The Columbia accident was a primary driver for the premature retirement of a Space Shuttle that was already in the midst of an extension program designed to keep the vehicles working until at least 2020. The reaction seems more emotionally than rationally based; although the Space Shuttle had a checkered past, there’s no reason to suppose that brand new spacecraft with as-yet unknown foibles will perform any better. In some ways, the loss of a 30 year accumulation of knowledge – and the engineers that accumulated it – can’t help but make it more challenging to achieve adequate safety. “Starting something new, you’re going to have just an unavoidably different focus on safety,” says Ciannilli. Ciannilli thinks we’re going to need to look back to before the days of the shuttle. With many of the new spacecraft being built on a capsule model, what’s really needed in the expertise from Mercury, Gemini, and Apollo. Unfortunately, retirements and layoffs have made deep inroads into those wells of knowledge but, Ciannilli explains, each generation of engineers does his best to pass on what he knows to those who follow him. While the design basis may be a throwback, the whole concept of commercial transport is new to NASA. The agency can regulate who will be allowed to carry its astronauts, but there are limits to how much the agency can dictate safety design to its commercial partners. “It’s a different relationship. It’s gonna be a little bit different. It’s hard to have hindsight yet because we haven’t done it,” says Ciannilli. On the whole, safety really does seem to be up to each individual’s initiative to go forth and find the expertise that exists and apply the lessons to future generations of spacecraft. Ciannilli and his colleagues are always happy to pass on their tribal knowledge, but acquiring that knowledge will inevitably be a personal process, driven by a personal passion for safety. No amount of procedures and guidelines will automatically ensure safe design and operations. And in that reality lies the urgency to remember our past incidents, accidents, and errors. By reminding new generations of engineers of the stories of Columbia and Challenger, Apollo 1 and 13, we remind them how easy it is to lose the diligence that prevents such outcomes. “Know your history,” Ciannilli admonishes, and what’s more: understand it and apply its lessons. To read more from this interview including Ciannilli’s experiences from the Columbia debris search, check out the Remembering Columbia Special in the Winter Issue of Space Safety Magazine, available online January 25th.